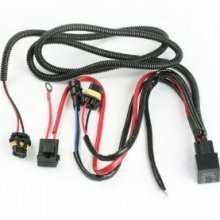 This ingenious Relay Harness can be used to cure any HID flicker that some C5 and C6 Corvettes may be experiencing when converting their lights to HIDs. The harness will bypass the stock OEM wiring and allows the HIDs to power themselves directly from the battery. If you have experienced any HID flicker or issues with ballasts firing up, this is your solution.